As promised, this week I’ll discuss HSA optimization. Remember, those are some general tips and treat them as a baseline for your own testing. There are 3 things behind Amazon headline search ads: Keywords, Copy, and Image. Good keywords won’t work without copy that convinces people to click on your ad. Good copy and keywords can be ruined by a lame photo. And even the best photo is useless if nobody will see it because you messed up keywords. To make Amazon headline search ads work, you must combine those 3 things together and test how changes in one of those three factors will affect your conversions. Sounds simple, but it’s hard. The first thing you should do is a keyword research. You can do it in many ways, but here is how I do it. The best way to start is to check what keywords are already working for you. I have Sponsored Products running for my products and Search Term Report is like an encyclopedia. I can see what language people are using when they are looking for my items. For the keyword research Amazon Sponsored Products: Automatic Targeting works the best. If you have manual targeting set up, you should already know what keywords might work. Believe me, you won’t be able to beat people’s creativity. Sometimes they come up with search terms I wouldn’t even think of. Those broad matching search terms are perfect for Amazon headline search ads campaign. Initially, you want to reach as many buyers as possible to see which keywords are converting and to increase your brand awareness. Search Term Report gives you one more advantage – data. You can check CTR and ACoS for your keywords. There is no guarantee they will work in the same way in Amazon headline search ads, they won’t, but there is no better way to start. Jacob, what if I don’t have a Sponsored Products campaign? Just run it first for a week or two. This is very important if you have new products and you don’t know which keywords are working for you. If you already have some ideas about keywords, you can start with Amazon’s built-in keyword tool. I wrote about it last week. 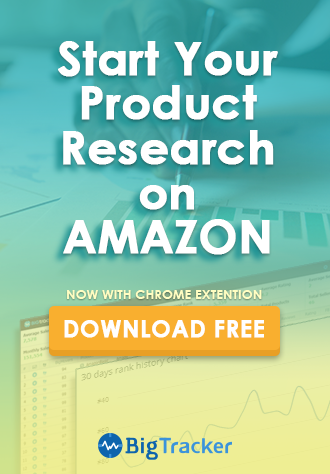 When you create Amazon headline search ads, Amazon will automatically suggest keywords and give you an idea of how much traffic you may expect. There are other ways to come up with keywords, though. 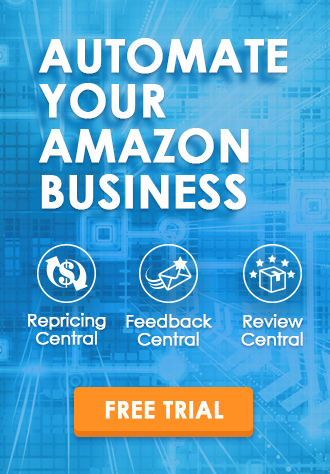 You can research what your Amazon’s competitors are using in their titles and descriptions. Just go to their listings and write down anything that looks like a potential keyword. Use Google Keyword Planner to see what people are looking for and to find related keywords. The more keywords ideas you have for your research the better. Then, compare the keywords you gathered with keywords you got from the Sponsored Products and keywords suggest by Amazon. This should give you a good idea of what keywords you should use. You can bid on so-called “out of category keywords”. Those type of keywords look unrelated to your category but can help you drive traffic, anyway. Let’s say you are selling power banks. You can try “hiking supplies”. People need power banks when they hike. You can target your competitors’ keywords. Btw. “Build your own Mercedes Benz” – this is what I call good copy. Once you are done with keywords, you can go ahead to the next step. Here comes my favorite part – copy. Look again at the two examples above – LEGO and Chef Remi. They both have good copies (I’d say LEGO’s is brilliant) but in a different way. Chef Remi tries to show you benefits of using their knives. I presume the rubber grip is more secure and since it’s easier to handle it’s also safer to operate the knife. Rubber Grip – No Slip; A knife that won’t slip; Chef Remi – knives that will save your fingers. Chef Remi – your hands will love our knives. You know what I mean, right? LEGO went with something surprising. It’s a great idea. I clicked on the add right away. I just couldn’t resist. I might eventually build my own Benz. Going with your slogan is fine, too. And finally, the image. Never EVER underestimate the importance of a good image. Someone much wiser than I said, “a picture is worth a thousand words” That was before our attention span became shorter than a goldfish. Today, a good picture can be worth thousands of dollars. I am not talking only about product photos here. If you plan to use your logo as a part of Amazon headline search ads make it look good. You are also free to use lifestyle photos. You can show people using your product as the main image. I’ve seen some bad copy on HSA, but I haven’t seen bad photos yet. No matter what kind of image you plan to use make it as good as you can. How to optimize Headline Search Ads? Now comes the hardest part – optimization. The thing you must do is called TTT (Test, Test, Test). And yes, I made that up. You can’t predict which combination of keywords, copy, and images will work. You must test them in practice. From those three, keywords are the hardest to optimize. HSA are auction-based, that means you must pay a lot for high-traffic keywords. Finding the balance between your goals, conversions, and budget requires a lot of time and experimenting. Let me show you my beginnings with HSA. Do you see my ACoS? Don’t judge me, it was my first time using HSA! Before I found which keywords are working, and how much I should bid, I lost money. I take that back; my keywords were working. They were just too expensive and didn’t convert. The key here is to find high-converting keywords that won’t ruin your budget. You can play with the “win rate” slider to find your perfect winning rate-bid ratio. In my case “out of category keywords” were much cheaper and they converted better. Be careful, thought. HSA can get very expensive. Remember to set up your budget during HSA creation process and stick to it. TIP: Be careful with bidding on your brand name. I don’t recommend it. Let’s say your brand is called XVZ. If buyers know your brand and type it on Amazon, they are probably at the end of the funnel and are ready to buy. Now I will make things even more complicated. It’s not enough to just test keywords. Don’t forget about headlines, images, and products. Test how different keywords work with different headlines and images. Then, you should test how the order of your ASINs in the add affects conversions. Change only 1 variable at a time and run many ads simultaneously to see which one works for you. During that process I usually take notes. I write down what I changed and when/why I changed it. I keep the data (ACos, CTR, Impressions) in Excel to remember before/after results. And don’t rush things. You need 2 weeks (sometimes less, often more) to get statistically significant data. If add is not working, or it’s too expensive, change one variable and give it about 2 weeks again. Check it again, adjust, test. Rinse, repeat. Don’t forget that HSA are not necessary there to bring you sales. They are more for brand awareness. Even Amazon puts them at the top of Buyer-Purchase Funnel. Before you spend your money on HSA, make sure they fit into your business model. Hey, Thanks for your tips. I was very helpful for my Amazon Campaigns.